Photo by Jack Delano for the Office of War Information. January 1943. 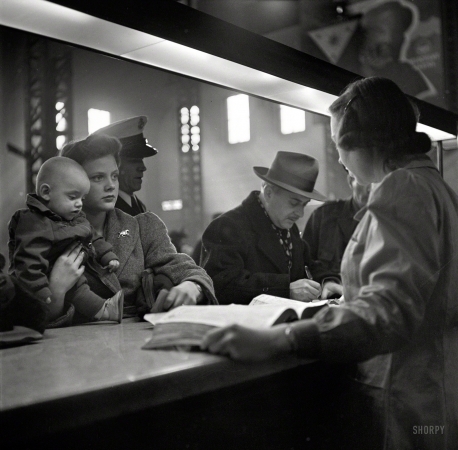 "At the information desk at Union Station, Chicago."